Make your home look like a New York city apartment! Introduce industrial chic into your modern home or apartment with the Urban 3 Tier Bookcase. This rustic bookcase is compact, yet provides generous shelving space for books, magazines, ornaments and anything else you'd like to showcase on this fine piece of furniture. Bring the atmosphere of a New York loft apartment to your own home with this simple and elegant storage solution. 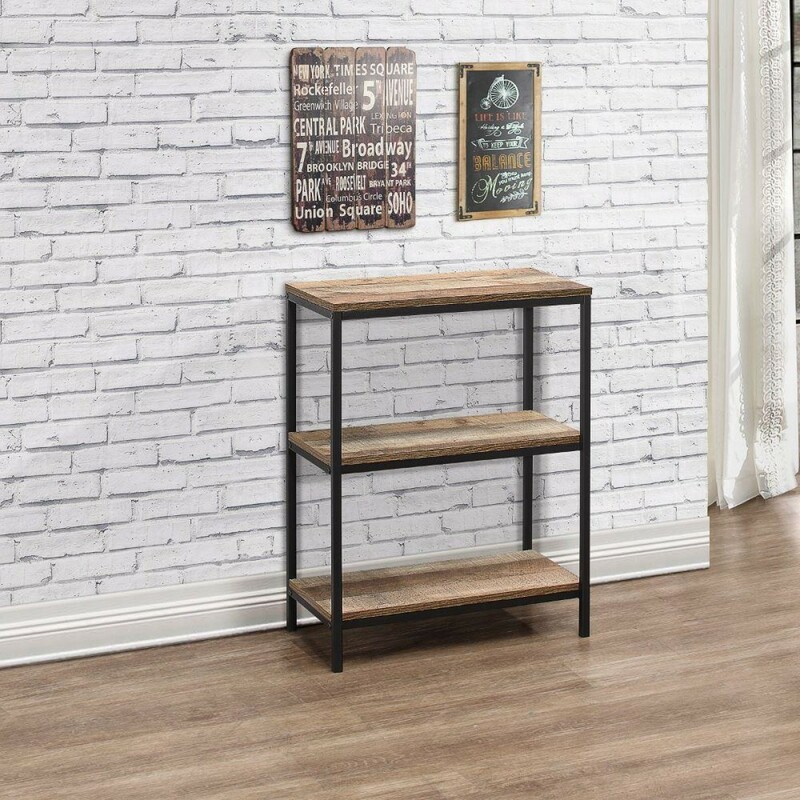 The Urban 3 Tier Bookcase combines the rustic feel of wood with sleek, sturdy lines of metal that result in a contemporary piece of furniture for your home. There are 3 useful shelves that can be used for the storage and display of a variety of different items. Whether you're looking for a place to keep your router and home phone, store your shoes or showcase your favourite books and trinkets; the Urban 3 Tier Bookcase is the perfect choice for modern home owners. The low-level height of the Urban 3 Tier Bookcase makes it suitable for all homes. Position where you please, against the wall, below the window or behind the sofa. It's versatile and practical. The industrial style works perfectly with the nature of the bookcase. Add an urban atmosphere to any room in your home, the living room, the hallway or the bedroom. You have three shelves and plenty of options! The Urban 3 Tier Bookcase is part of the stunning Urban collection. There are many different pieces of furniture that you can mix and match together for the perfect industrial styled home. The wood-effect finish of the shelves and the metal frame are kept clean with a simple wipe down with a soft, dry cloth. It's practical, versatile and worthy of sitting in your contemporary-styled living room! The product is part of the Urban Wooden Bedroom Furniture Collection.